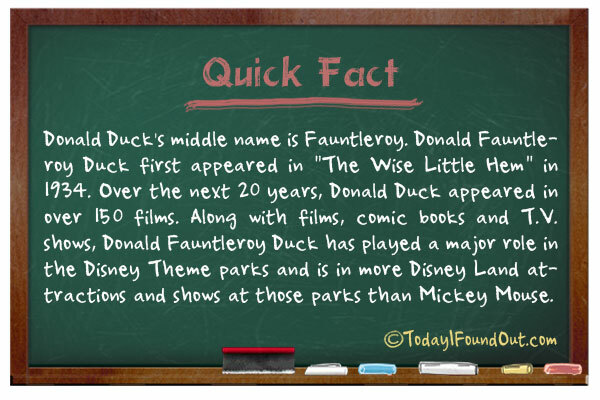 Donald Duck’s middle name is Fauntleroy. Donald Fauntleroy Duck first appeared in “The Wise Little Hem” in 1934. Over the next 20 years, Donald Duck appeared in over 150 films. Along with films, comic books and T.V. shows, Donald Fauntleroy Duck has played a major role in the Disney Theme parks and is in more Disney Land attractions and shows at those parks than Mickey Mouse.